My first ever online purchase on StrawberryNET.com. It might look as though motherhood has turned me into an online shopper. Nope – truth is, I have been looking everywhere for Murad products in Australia with no luck. If anyone knows how to get through to a stockist, please let me know? @Amuse_Bouche – Yes, I find it really good. I used the sample they gave out on Cathay Pacific business class vanity packs during my stay at hospital after delivery. Ever since giving birth, just been getting alot of comments about my ‘glow’. I say, it’s either this serum or the fact that I’ve been eating really well, or both. It’s worth a try if you’re pondering, specially since you have sensitive skin. I might grab you a sample first! @xx_kelle_xx – The brand is ‘Murad’ and it’s called the ‘Sensitive Skin Soothing Serum’. Try it, try it! It was sooo hard to find in Australia but I do believe they have a retail store in Taiwan. 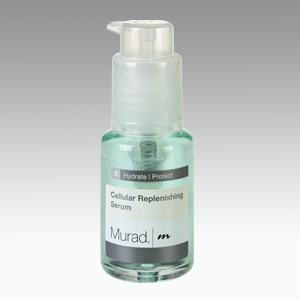 Check it out: http://www.murad.com.